I know I haven't been too good at posting stuff lately. 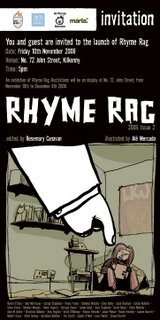 In the last month I've been working on a project called Rhyme Rag (this was the second edition.) This is the invite for the launch which is happening next Friday in Kilkenny. 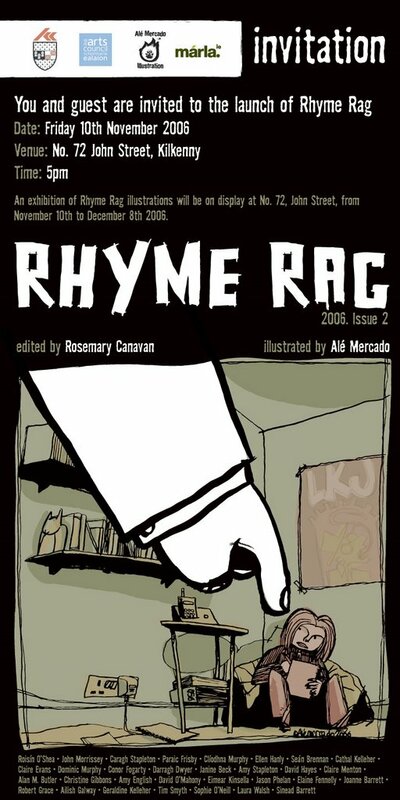 Posted by Alé Mercado at 1:59 p.m.